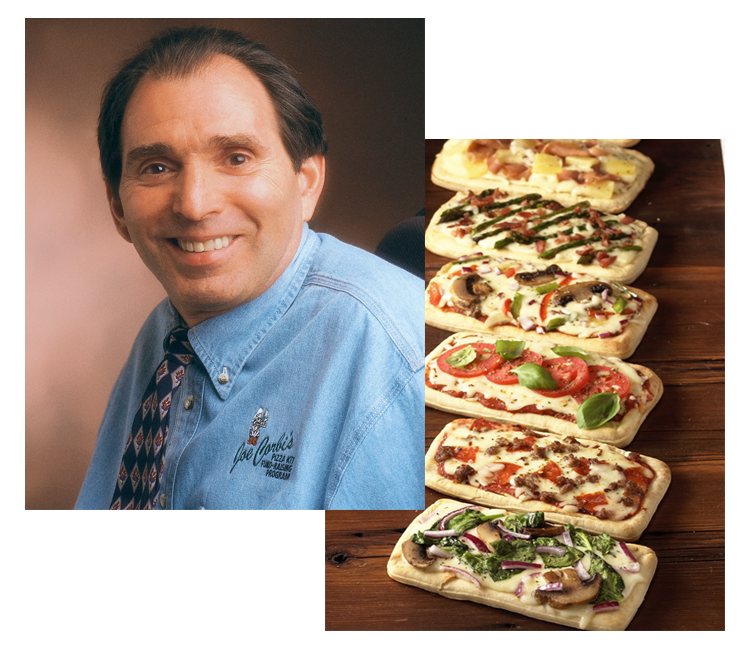 Craving Joe Corbi's Pizza Fundraising Kits? It's Gourmet! Pizza kits, delicious snacks and desserts, coupled with best-in-class fundraising practices will make your next fundraising event a success! Sell with us for your spring fundraiser! Click here for a great recipe idea from Joe Corbi's Fundraising. We've got a giveaway and social media contest for you!  Joe Corbi's one-of-a-kind, gourmet pizza kits make a great family friendly fundraiser for any type of group. Whether you need to fund-raise for school, sports teams, classroom supplies, technology, or a family reunion, our pizza kits are perfect for all situations. We have local reps who work with you step by step through the entire fundraising process. Our pizza kits are the #1 pizza kit fundraising choice in the United States. We've been serving schools, teams, and communities for over 30 years and we make selling easy! The Joe corbi's family will satisfy all your fundraising needs for years to come. With Joe Corbi's gourmet pizza, it's easy to get creative and have fun cooking. Just start with any of our pizza kits and a few of your favorite ingredients from your own kitchen. We also have sweet desserts! In addition to our famous pizza kits, we have a variety of sweet gourmet desserts. 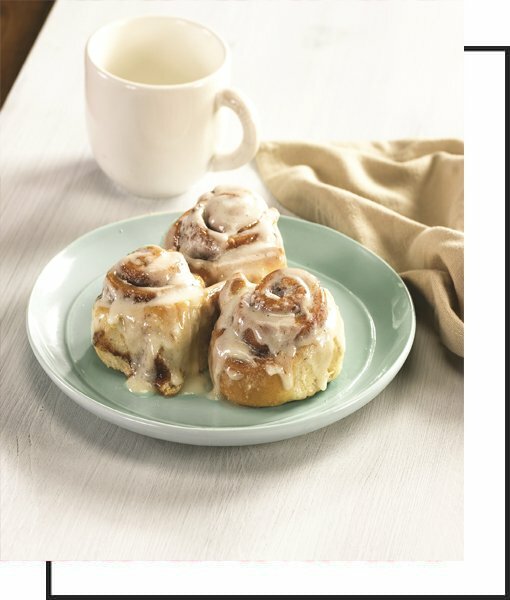 Offer your customers our high quality, gourmet, home-baked cinnamon rolls, carrot cake, and pies. Our desserts are thick, rich, and packed with flavor! You can find something for everyone! Are You Ready for Fall Fundraising? Click below to request fundraiser information. Let us help make your experience extra tasty! Joe Corbi’s offers several different program options to fit your needs. Contact us today and we’ll help you select the best program to help you raise the most money possible for your group. Just click below and we'll get you started. For years, Mrs Fields’s Cookies has been one of the largest sellers of Gourmet Cookies in the United States. That’s because, just like your organization, Mrs Fields started with Great Tasting cookies…and a dream! 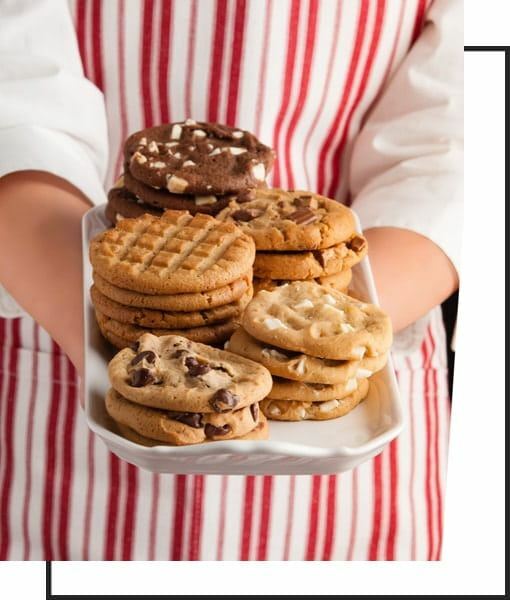 You and your supporters will love our wide range of warm, fresh gourmet cookies right out of your own oven! The support these cookies provide will only make it sweeter!